Hey, did I casually mentioned Lisa Lutz came to Sacramento to talk, answer questions and generally get gawked at? No, you don't recall? Hmmm. Sorry about that. But she did and I got to see her. I have to make two comments about the event. 1. Barnes and Noble never plans appropriately for these things (or may just not in our area) I haven't been to a signing yet where I think great job B& N. Either 2/3rds of the audience is left to stand or in my case jump and generally try to shift until I can see around the unusually tall gentleman who is right in front of me. ALWAYS. Or I can't hear a thing. Don't they want people to come? Really what's with stashing author's in the kid's area? The kids area- for crying out loud? 2. Lisa Lutz is nothing like I imagined. AT ALL. Not bad, not good. Just does not match my internal picture of what I imagined she looked like. 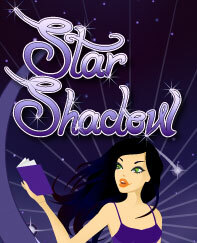 I did forever walk away with an autographed copy just for one of my very lucky readers. I also read a copy of the book and will post my thoughts later in the week. 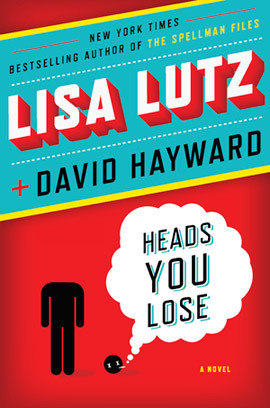 A copy of Heads You Lose - signed by both Lisa Lutz and David Hayward. If you're not lucky enough to be one of our winners but still want to pick up a copy, you can find it at Amazon , Barnes and Noble, or any other major bookseller. If you've read any of The Spellman's- comment on your favorite character and why. If not what's your favorite off the wall book of all time? 1. Subscribe to my blog by email/RSS. 3. Like me on Facebook- this is worth five extra entries- Hey don't judge. I'm desperate for friends. 4. Follow me on Twitter and tweet the giveaway. Leave a comment for each one you do- you have to complete the first or all of the bonus entries won't count! Winner will be choosen by Randon Number Generator. Giveaway ends on May 1, 2011 at 11:59 pm PST. Winner will be selected by random.org and notified by email and will have 48 hours to reply back before a new winner is selected. Please remember to leave your email address if it is not attached to your profile so I can contact you if you win. Good luck! 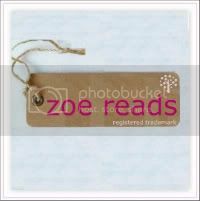 Disclaimer: All reviews on zoereads.com are the honest opinion of its author and editorial samples do not, in any way, affect the outcome of product reviews. Hi Zoe! I'll be back with a more intelligent post about my all time face book, but in the meantime (hey my husband is snoring) I re-tweeted your giveaway tweet (from both my twitter accounts) and followed you and liked you and and and... I'll be back! This is a new author to me. I think the world according to garp is pretty off the wall.